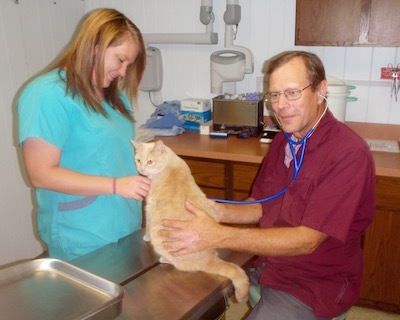 At Adair County Vet Clinic, your pet’s health and well-being is our top priority. We understand that your pets are a part of the family, and we’re honored that you would entrust their health to us. In order to help your dog or cat live a long, healthy life, we encourage annual wellness exams for all of our patients. Our clinic also offers cat and dog boarding, grooming, treatment for sick pets, spays and neuters, and a wide range of other pet services. Explore our list of pet vet services below to learn more, and call our office to schedule an appointment. We look forward to becoming partners in your dog or cat’s lifelong healthcare!